A True Account. 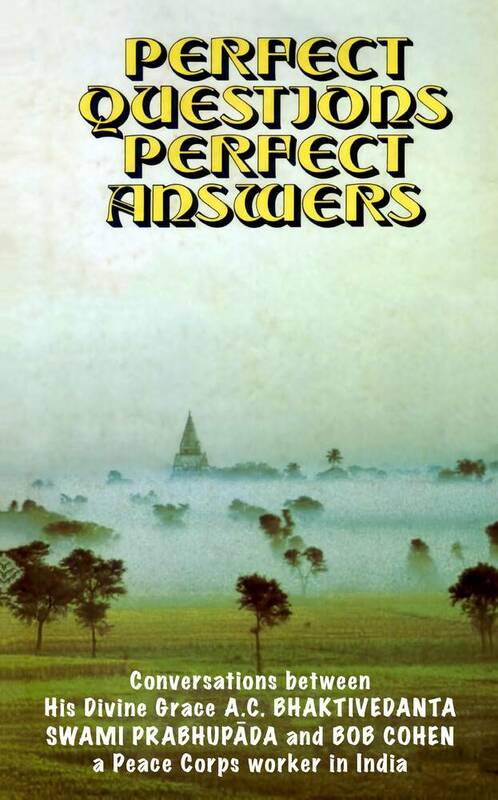 A search for meaning carries Bob Cohen, a young American Peace Corps worker halfway around the world, to an ancient village in the midst of West Bengal. There, in a small bamboo hut, he finds a teacher who is able to tell him everything he ever wanted to know. A fantastic introduction to Krishna Consciousness. Format: Softbound, 4" x 7"
God, spiritual life--those were such vague terms to me before I met Srila Prabhupada. I have always been interested in religion, but before I met the Krsna conscious devotees, somehow I did not have the proper perspective needed to inquire fruitfully about spiritual life. The existence of a Creator is only common sense--but who is God? Who am I? I had been to Hebrew School and had studied Oriental philosophy, but I could never get satisfying answers to my questions. 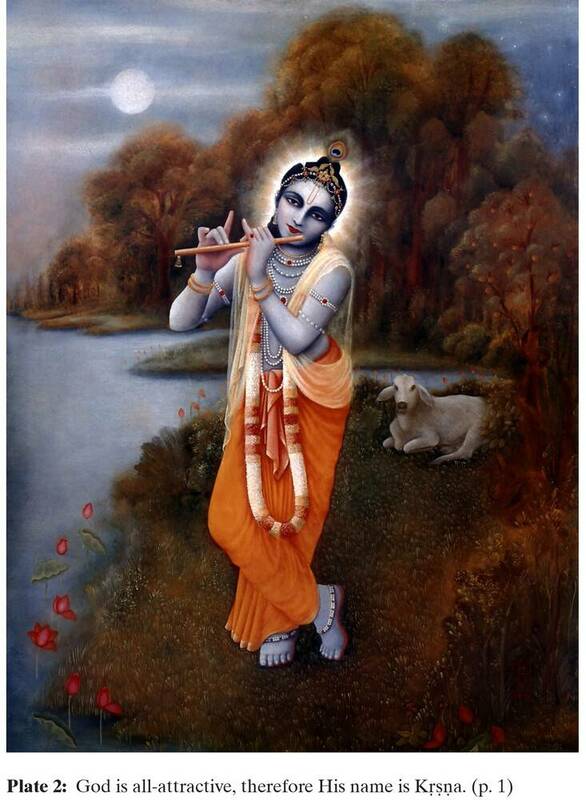 I first heard the Hare Krsna mantra in Greenwich Village, New York, in late 1968. Several months later, I came across a card with the Hare Krsna mantra on it. The card promised, "Chant these names of God, and your life will be sublime!" I would occasionally chant, and I found that the mantra did, in fact, give me a feeling of peace of mind. After graduating from college with a B.S. 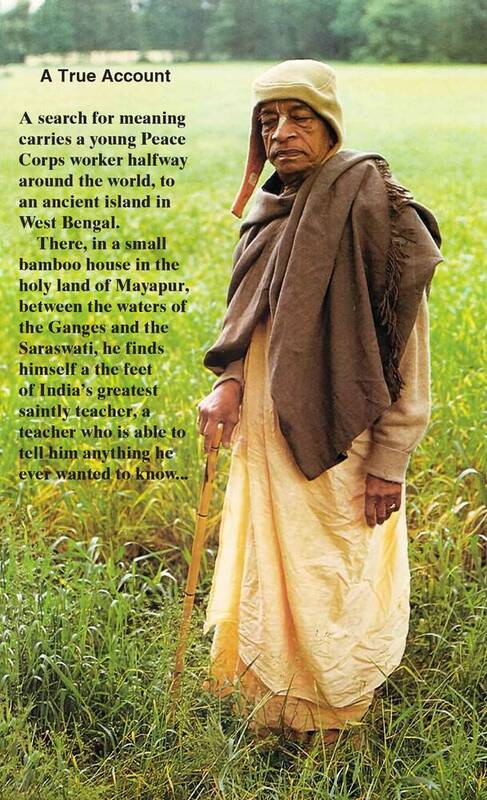 in chemistry, I joined the Peace Corps in 1971 and went to India as a science teacher. In India I inquired about the Hare Krsna movement. I was attracted by the chanting and intrigued by the philosophy, and I was curious about the movement's authenticity. I had visited the Krsna temple in New York several times before going to India, but I did not consider the seemingly austere life of a devotee for myself. In India I first met the Krsna conscious devotees at a festival they were holding in Calcutta during October of 1971. The devotees explained to me the purpose of yoga and the need to inquire about spiritual life. I began to feel that the rituals and ceremonies they practiced were not dull, sentimental obligations, but a real, sensible way of life. In February of 1972, I met some devotees in Calcutta who invited me to a festival in Mayapur (a holy island ninety miles to the north). The festival was to be held in honor of Lord Caitanya Mahaprabhu, who is considered an incarnation of Krsna Himself. I had then been planning a trip to Nepal, but the Peace Corps denied me permission to leave India, and so I went to Mayapur. 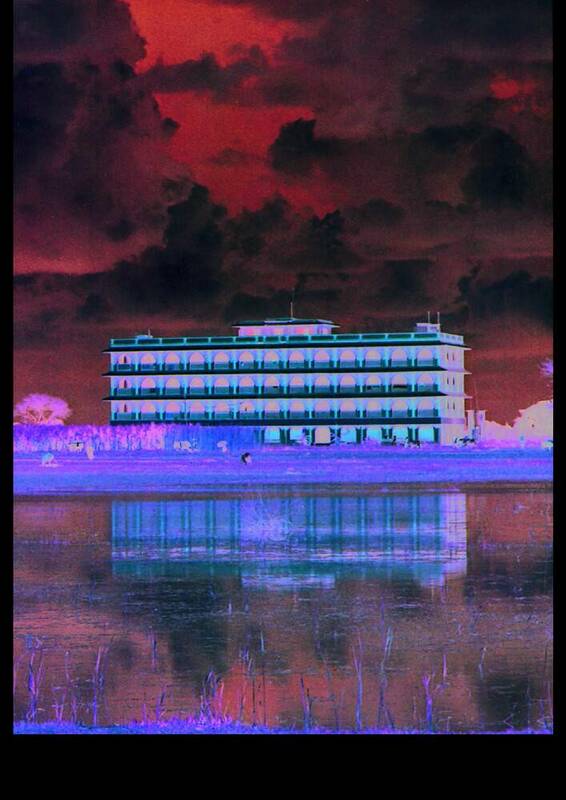 I left for Mayapur planning to stay for two days at the most, but I ended up staying a week. I was the only Western nondevotee on the island, and since I was living with the devotees on their land, this was a unique opportunity to learn intimately about Krsna consciousness. On the third day of the festival, I was invited in to see Srila Prabhupada. He was living in a small hut--half-brick and half-thatched, with two or three pieces of simple furniture. Srila Prabhupada asked me to be seated and then asked how I was and whether I had any questions. 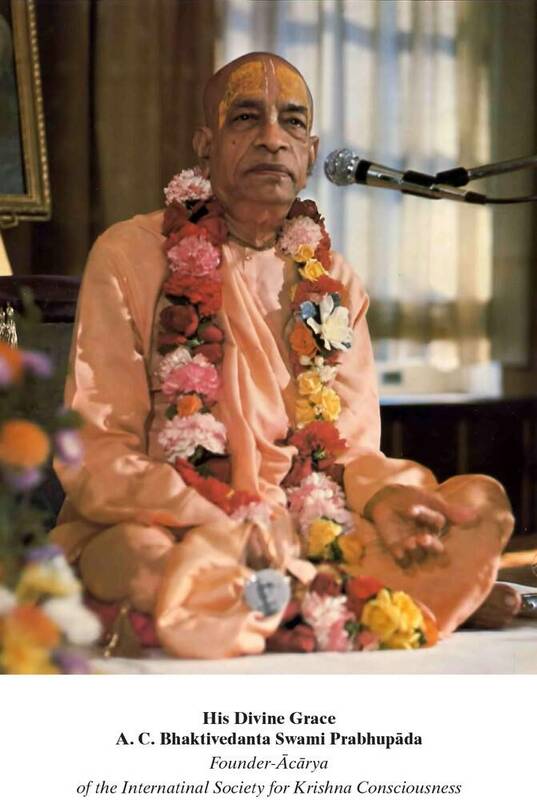 The devotees had explained to me that Srila Prabhupada could answer my questions because he represents a disciplic succession of spiritual masters. 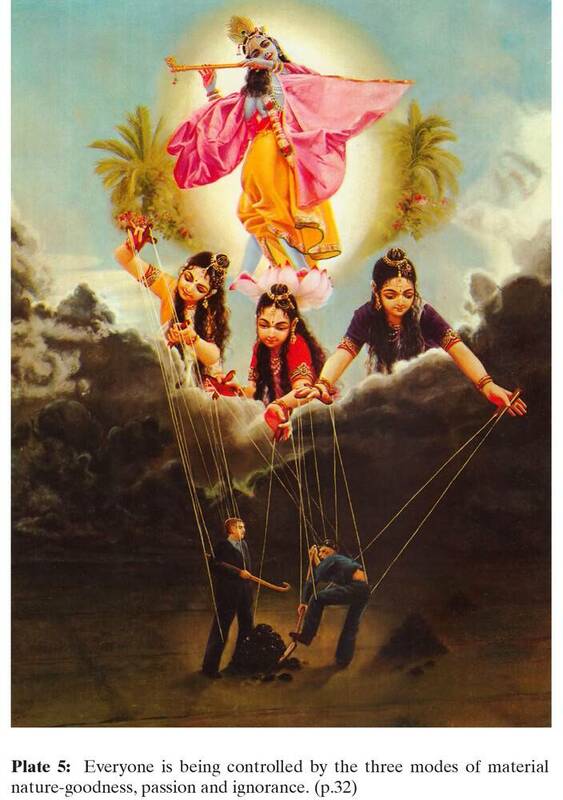 I thought that Srila Prabhupada might really know what is going on in the world. After all, his devotees claimed this, and I admired and respected them. So with this in mind I began to ask my questions. Inadvertently, I had approached a guru, or spiritual master, in the prescribed way--by submissively asking questions about spiritual life. Srila Prabhupada seemed pleased with me, and over the next several days, he answered my questions. I asked them mostly from an academic point of view, but he always gave me personal answers so that I would actually spiritualize my life. His answers were logical, scientific, satisfying and amazingly lucid. Before I met Srila Prabhupada and his disciples, spiritual life was always obscure and nebulous. But the discussions with Srila Prabhupada were realistic, clear and exciting! Srila Prabhupada was patiently trying to help me understand that Krsna--God--is the supreme enjoyer, supreme friend and supreme proprietor. I put forward many impediments to accepting the obvious: that I would have to become serious about God consciousness to understand God. But Srila Prabhupada relentlessly yet kindly urged me on. Even though I had little ability to express myself, Srila Prabhupada understood my every inquiry and answered perfectly.